Music Festival T-Shirts That Rocks! - Festival Fever is Coming! 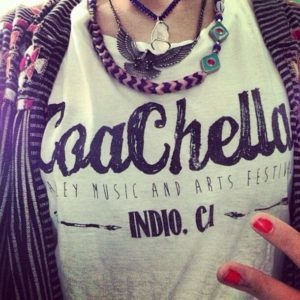 BlogHome » Posts » Music Festival T-Shirts That Rocks! – Festival Fever is Coming! Music Festival T-Shirts That Rocks! – Festival Fever is Coming! Here’s the thing: people forget the music. Over time, they stop thinking about the experience they had at a music festival or concert. What they remember are the souvenirs that are available to commemorate the experience they enjoyed at your event. Memories can fade away. But if you have custom t-shirts available that commemorates your music festival, they’ll recall the good times every time they slip it on. What Are the Elements of a Fantastic Festival T-Shirt? The merchandise you offer at a music festival can make or break your event. Memorable graphics create a product which concert-goers will wear repetitively. Quality work will help the t-shirt stand up to multiple wears without degrading the overall experience for the consumer. That’s why it is critical that your design should focus on these vital elements. Always check for spelling mistakes when creating a new design for a music festival t-shirt. Do this even if you’ve outsourced the graphics work to someone else. Then review the placement and color of your graphics. 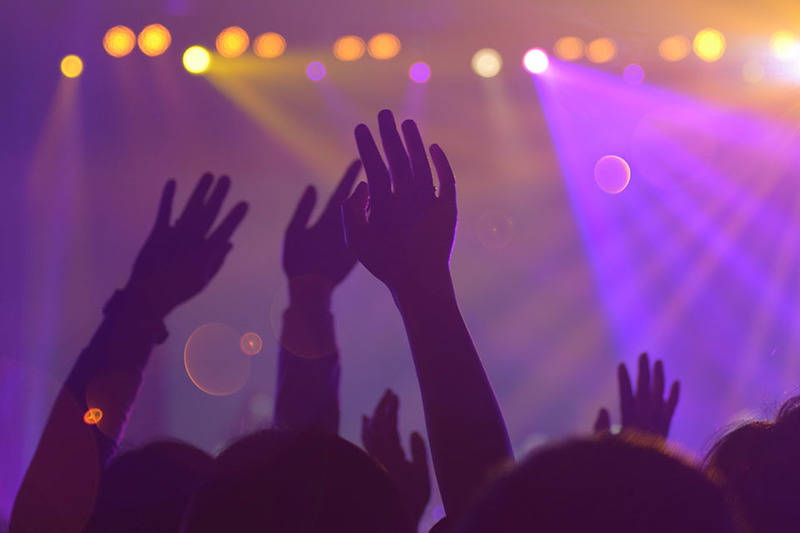 This will ensure they create the positive impression you want to relay to festival attendees. Music today is available for a minimal cost. People no longer connect to bands or festivals because of the cost of an album. They form relationships based on the quality of the merchandise that is available to them. When that person meets someone on the street who says, “Hey! I went to Coachella too!” then your merchandise helps them to form new friendships too. Never underestimate how much attendees are willing to pay for a high-quality product that they can take home with them to build these connections. Festivals in the summer aren’t going to move a lot of hoodies. 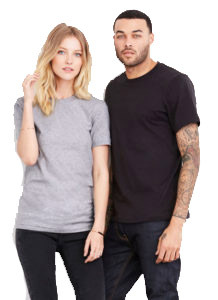 Winter events might not see a high demand for skinny t-shirts with cool graphics. Think about what the weather should be like for your festival, and then plan accordingly for the best possible results. 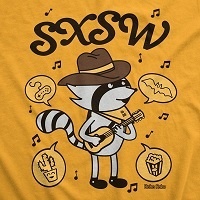 The festivals which move the most merchandise (including t-shirts) are paying attention to what their attendees already prefer. If your plans don’t match consumer preferences, then you won’t create a “need” to purchase your product. The best shirts today look less like those old-fashioned band or concert shirts. Instead, they look more like an offering from a new clothing brand. You’ll appeal to more potential customers without ramming a marketing message down someone’s throat. 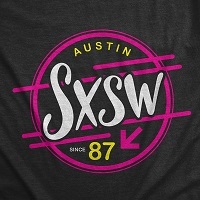 Branding is still essential to the design process when creating a memorable music festival t-shirt or concert Merch. Put your logo on the shirt in a prominent way. Then make sure the staff at your event wear it to create consumer recognition. People need to identify with your symbols in some way. Once they do, they’ll be willing to put some money down to purchase your tees. You can choose to go with a simple logo and build layers with multiple items. Or, simply choose a photograph that captures the essence of your message. The rules here are few, which means the opportunities are many to create excellent band merch. It’s time to get on-board with the idea of using a high-quality design with the best t-shirts that are available today. Then, start looking at what your final product should look like. There is no better way to glean some inspiration than to look at the designs which have become iconic over the years. Do you remember any of these shirts? Maybe there are still some of them hanging in your closet or folded in your drawer? Get some inspiration here for your music festival, concert, or band Merch. The iconic first album t-shirt from this band featured a simple black-and-white photograph with their name printed above. 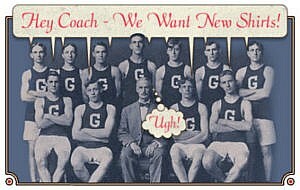 Although there were several other designs which became popular for the group, nothing really beat that first design. You’ll find plenty of concert merch which tries to copy it to achieve results. If you grew up in the 1990s, then there was a good chance you owned this one. It features a reworked smiley face with the band’s name, with the iconic design being the dark t-shirt with the yellow design standing out with prominence. You can still purchase this design because of how popular it continues to be. 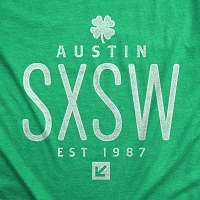 This t-shirt design shows the power of a simple logo being offered front-and-center on your festival products. It features two red lines with the word art and nothing more. 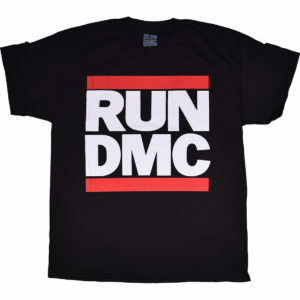 As long as hip-hop continues to be relevant in the world of music, you’re going to see people wearing this t-shirt. There are a few designs of this band’s merchandise that stand out since their Union Jack design really was a trendsetting option for t-shirts at the time. When they created designs where an arrow came from the “O” in their name, the British flag works with the upward movement to create a harmonious look that people continue to love. This t-shirt design features a simple black box with the band name in the center. Then a border box surrounds the first design to draw the eye to the logo. Different colors came out over time that replicated this look. To most, the high contrast value of the black-and-white design that will always be the best option. If you love the looks of a classic punk t-shirt with the four unequal bars, then this is the design you’re thinking about under most circumstances. The band had a raw sound to their music, creating an authentic listening experience which they wanted to replicate with their band merch. What makes for a great Band or festival T-Shirt? With these examples to consider, a natural question arises: what makes for a great band or festival t-shirt? There are three elements to think about: creativity, being open, and offering something which makes sense. Your shirt sends out a specific message about your event. If someone might see the design as being offensive in some way, then you’re limiting the number of people who might purchase it. From a band’s perspective, if your shirt seems politically incorrect or disrespectful, then it might be a challenge to book gigs or share the stage with other artists. Think about how others will perceive the artwork. Then make accommodations based on the final message you wish to share with the world. Original ideas are always the best. You can create parody shirts of iconic designs to offer smiles, but it is your creativity which will break down the objections some fans have to purchasing your merchandise. You can sketch out some artwork ideas to see if something clicks for you. Stock photos that you find online can be manipulated into a clever design – with the correct licensing, of course. Then create layers which add depth and dimension to the design. Begin with a central image, then add various shapes, figures, word art, and design elements which coordinate with one another to build the perfect look. Don’t be afraid to experiment, even if you don’t subscribe to software options like Photoshop, and you may discover a hidden talent for design. Another option to consider is a partnership with your fans, a freelancer, or a professional artist who can express your message visually in the same ways you’re expressing thoughts through music. Once you’ve sorted out the elements of your t-shirt design, then it is time to look at the manufacturing processes. The time has come to create something memorable for your band Merch or festival. Awesome graphics will only take you so far. If the quality of the t-shirt materials is lacking, then you’ll struggle to maximize your results. We prefer to use three brands for our t-shirts because we love the consistency of their products. There are several ways to define consistency. So instead of letting it be a “floating definition,” here is how we rate the best apparel providers from the rest. Music festival t-shirts, band merch, and similar products should always offer comfort and movement. It should be snug enough that it doesn’t feel like you’re wearing a sweater, yet loose enough to breathe as you dance and move during your favorite concerts. The cut of a t-shirt should fit around the shoulders, neck, and body in ways that don’t make the wearer start to fidget. It should stay put, with your logo front-and-center, without riding up along the bottom or in the sleeves. Great concert t-shirts will not feel scratchy along its hems, collar, or seams during wear. The fabric used to create the shirt shouldn’t irritate the wearer either. It should offer a gentle, comforting hug that allows people to focus on the music instead of how their product makes them feel. The best custom t-shirts will wear the same way after a year as they do when they’re brand-new. It should offer consistency for the wearer whether they put on a long-sleeve shirt underneath it or a hoodie over it. There shouldn’t be any complex instructions for your customers to follow when they put their new t-shirt through the laundry. The graphics used for your logo and design should be resilient to standard washing processes – including the heat of the dryer. Although some people don’t mind hand-washing t-shirts to preserve their quality, the average person wants to enjoy the fastest, simplest way to care for their product. Nothing is worse than spending money on the perfect band merch only to have it shrink on you during the first washing cycle. The best manufacturers use pre-shrunk materials in their design to ensure that the fit and wear of your music festival or concert t-shirts will remain similar over the lifetime of the product. Once you bring all of these elements together, then you can have a successful selling experience. When your festival or concert plays well and generates new fans, the brand merch will help to maximize the revenues from your event. If one of these elements doesn’t meet the expectations of your attendees, then you will find that your merchandise sales will be the first to suffer. Although you can still find band merch which offers men’s and women’s sizing, the industry is moving more toward a Unisex and a ladies’ design these days. It’s less about being politically correct and more about being inclusive. If your band or festival sells out of ladies’ shirts, then your messaging tells them that the other options aren’t cut for them. These are our favorite options for the Unisex sizes that are currently available. This Bella+Canvas Tee comes in a spectrum of color choices to help you craft the perfect look. It is an eco-friendly option too, guaranteed not to come from sweatshop labor. It fits comfortably with a standard cut, holds a design well, and the care options are simple and straightforward. 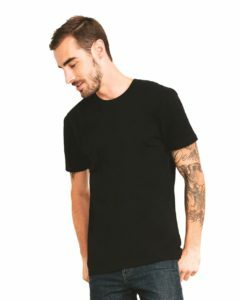 We like this Next Level Apparel t-shirt because it offers a consistent wear experience without shifting its fit over time. You can choose from several heathered colors to create your band merch or opt for solid white or black tones. You have sizing options from extra-small to 4XL. 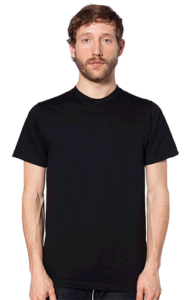 We also love the traditional design of this American Apparel t-shirt option. It features a slim cut, lightweight 50/50 poly-cotton blend. It has that worn-in feel from the first time you slip it on. Sizes go up to 2XL with this option. The Beastie Boys said it best…Hey Ladies! Soft KICK *SS t-shirts! If you’re looking for ladies’ t-shirt option for your festival, concert, or band, then here are our favorite selections to consider. Bella+Canvas makes this flowy racerback tank suitable for everyday wear, or going out to have fun at a show. It features a 65/35 poly-viscose construction. Available in solid or neon colors. Offering different fabrication options if you prefer other styles. Opt for the neon if you want your festival shirt to stand out in all conditions. This fun festival tank from Next Level Apparel features a gentle scoop design around the neck. It offers the right level of coverage without limiting freedom or movement. The armhole and neck are both hemmed, with side seams and a drape. Several color options are available, with sizing up to 2XL to consider. 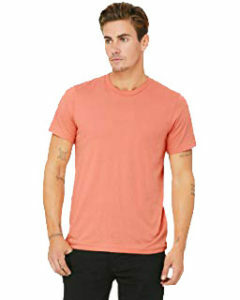 You could also choose this stylized v-neck design from American Apparel. If you’re looking for an innovative t-shirt for your music festival, concert, or band this is a great option. It fits comfortably, offers comfort, and doesn’t ride up with movement. What Can We Offer for Your Next Musical Festival Event? 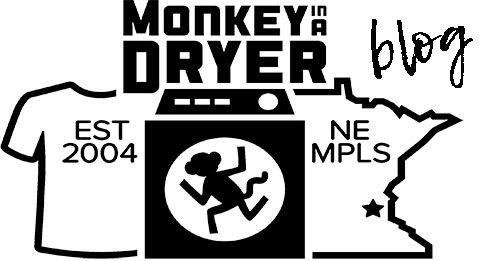 At Monkey in a Dryer, we will help you craft the perfect custom t-shirt. With impressionable design and suitable merchandise, your next festival Merch table will shine. Whether you’re looking for band merch of a clever music festival t-shirt, we can turn your design ideas into something extra special. A t-shirt that people will love wearing for years to come. You will find that our team works with you every step of the way. From conception to delivery, we ensure you receive the highest-quality outcome possible with every order. Whether you want something special for an intimate venue or a memorable design for your next significant music festival, our goal is to work with you to create the next iconic t-shirt that will become an essential component of future vintage collections. Let’s turn your ideas into reality today.